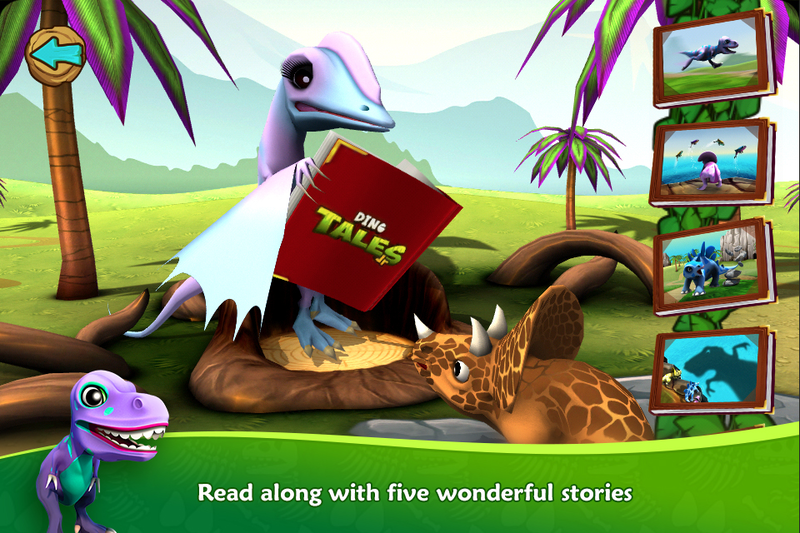 Dino Tales Jr is all about imaginative storytelling. Literacy is a fundamental skill in growing up, and we think storytelling is one of the best ways for children to learn about language, and build confidence with new words. Stories are a great way to think and talk about all the wonderful things you can do in the world! 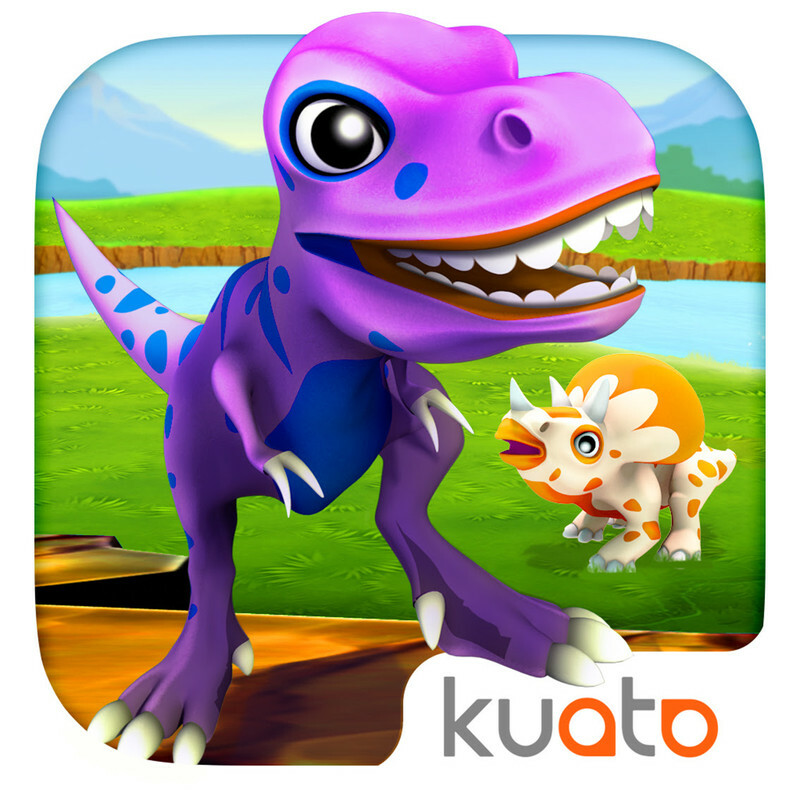 Dino Tales Jr is for young minds with BIG imaginations! 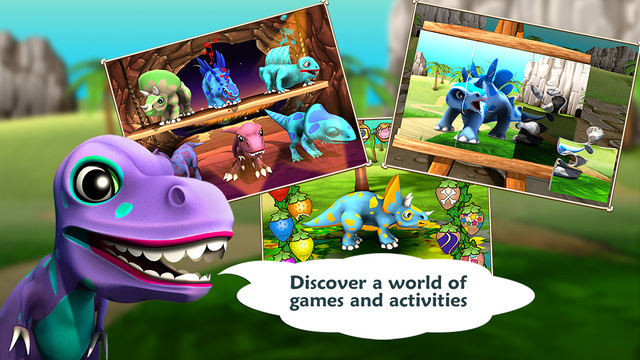 Enter a world full of baby dinosaurs, colourful prehistoric lands and activities galore! 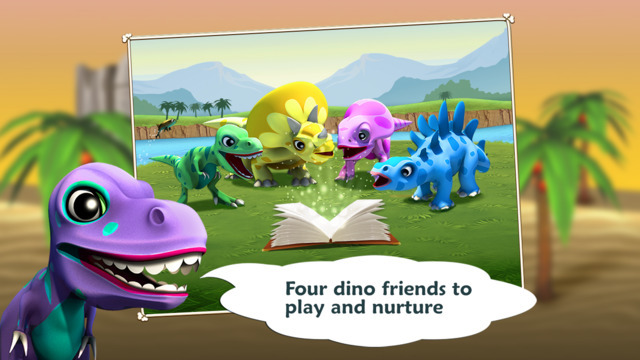 After a day of exploring, it’s story time! 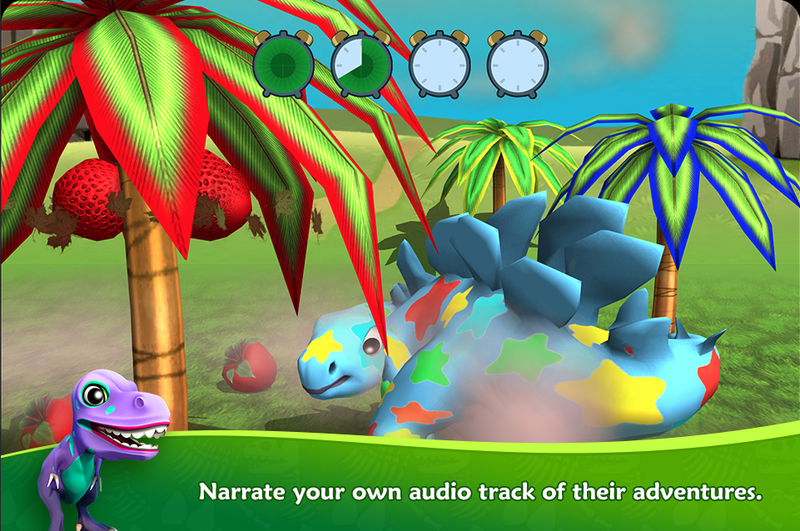 Record your own Dino Tale and tell all your friends and family about the fun day you had making music with the dino band, creating bright and beautiful patterns in the brand new Berry Blaster, and skipping around with your new friends! Meet the Developer: Adam Thornton is the UI Designer and his job is to design all the points of interaction. Adam likes sharks, surfing (but not together), and can’t live without his beloved Arsenal FC! Disclosure: I received no compensation for this post. Any expressed opinions are my own and personal thoughts.